About Soy: Rich in antioxidant isoflavones, soy proteins have been proven to have a beneficial effect on skin and improve the look of skin’s elasticity and firmness. One of the best moisturizers that I've used in a long time. 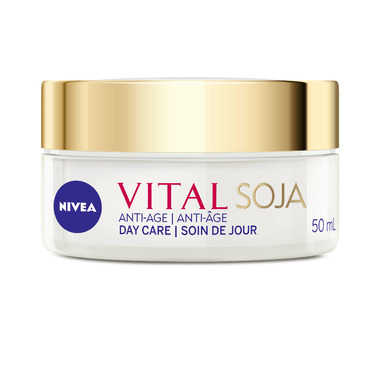 I've tried many and more expensive but Nivea has always worked great for my dry skin!! I am a Nivea Poster child. 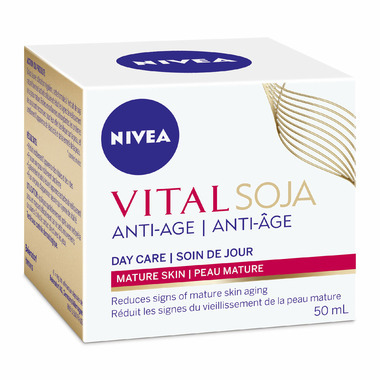 my mother used it and I am 82 and still use the product and love it. What can I say, I live in a semi desert area. This product keeps my skin soft and subtle and I even notice the wrinkles don't look so severe after putting it on the face.